Do you need extra help for EL students? 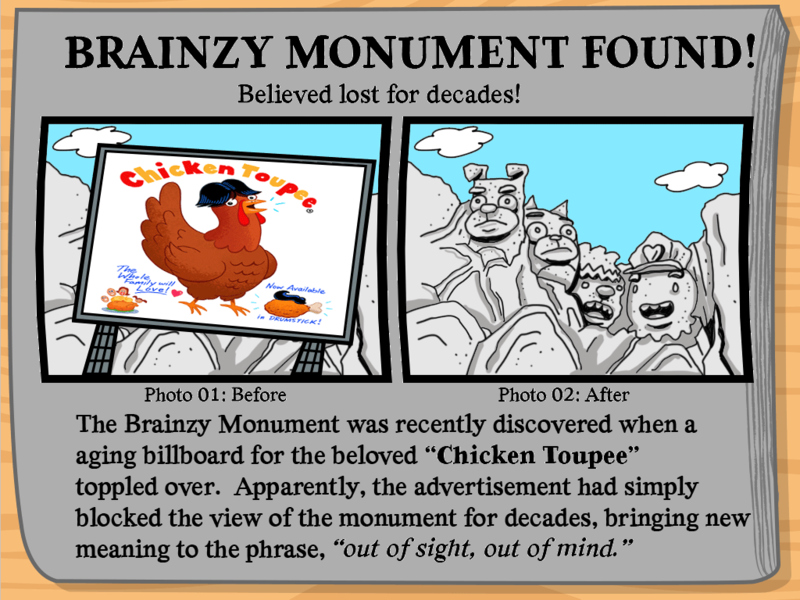 Try the Using Text Features for ComprehensionPre-lesson. Students will be able to understand the purpose of text features and how they support readers' comprehension of a text. Explain to students that Text featuresAre the elements of books, newspapers, and magazines that enhance a reader's experience by pointing out important information and making the text simpler to understand. Explain the following nonfiction text features with the class: table of contents, index, glossary, titles, headings/subheadings, text (bold, colour, italics), bullets, asterisks, pictures, illustrations, captions, side bars, diagrams, maps, tables, and time lines. Display an example of each type of text feature and a definition of each. This can be on a digital presention or in an example book. Emphasize the importance of each text feature and prompt students to discuss any prior experience they have with these text features. Ask students to define Text featuresWith a partner. Allow them to use their home language (L1) if they choose. Provide a student-friendly definition of Text features. Give learners a partially completed glossary on which to record examples of text features. Provide a word bank for students to use when completing the sentence stems. Instruct learners to define Text featuresIn their own words and explain why they are important. Have students use a word bank of important terms to explain how they used text features to better understand text. Display sentence frames for discussion, such as "I have used the ____Text feature, and it helped _____." 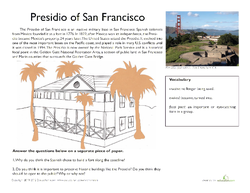 Display and read aloud the Presidio of San Francisco worksheet. Identify the text features on the page by labeling them. Explain how each text feature aids in the comprehension of the text. For example, the IllustrationIs helpful because it shows what the presidio actually looks like. It helps the reader visualize. Ask students to turn to a partner to discuss how the vocabulary box would increase readers' comprehension. Call on nonvolunteers to share thoughts. Display the Text Features Book Pages, and explain that today's task will be to look through nonfiction text to find text features. Each page will include an illustration and an explanation of the text feature's purpose. Model completing one page of the Text Features Book Pages by showing an example of a nonfiction text and picking out a text feature. Write the name of the text feature, explain its purpose, and draw a quick sketch of the feature on the page. Allow ELs to discuss the vocabulary box text feature in English or L1. Have ELs verbally summarize the purpose of the Text Features Book Pages. Give ELs a copy of the Presidio of San Francisco text to label and highlight. Provide a sentence stem for discussion about the vocabulary box: The vocabulary box is helpful because ___. Share an example nonfiction book, and engage the class in identifying text features. Choose a text feature, and invite students to share input about the purpose the text feature serves and how it helps readers. Divide learners into small groups. 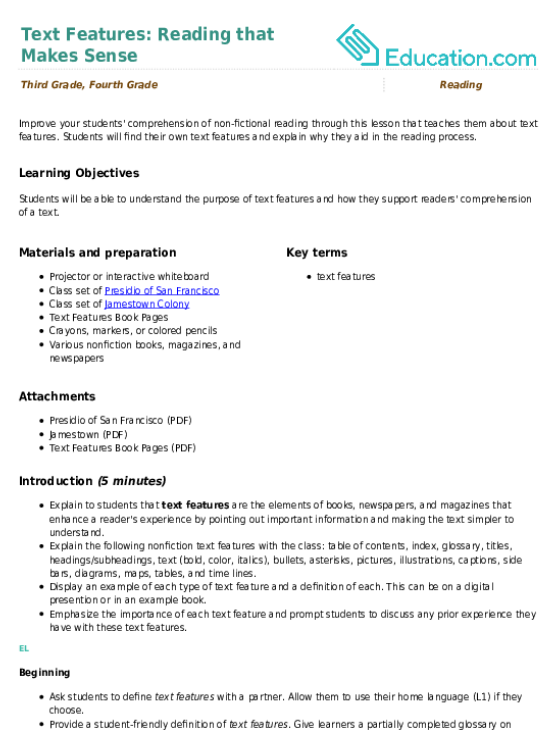 Distribute a copy of the Text Features Book Pages to each student. Pass out various forms of text to the groups. Instruct the groups to look through the text and pick out a text feature. Have each student in the group complete one of their Text Features Book Pages for the group's chosen text feature. Call on an individual from each group to share information about the text feature they chose. Group ELs meaningfully by putting students with the same L1 together. Encourage students to choose between English or L1 to use during the group discussion. Allow them to use their glossary from the Introduction as a reference. This is the ____Text feature. The ____Text feature helps _____. Provide a word bank of terms and phrases for ELs to use as they complete their Text Features Book Pages. Make sure each individual has a nonfiction text on which to focus. Instruct students to work on their Text Feature Book Pages based on the information in their book. Circulate and provide support as needed. Provide ELs with a simplified nonfiction text that covers the most common text features (pictures, captions, maps, glossary, index). 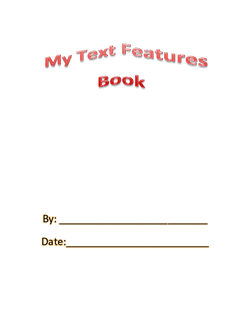 Allow ELs to use their glossary of text features as they independently complete the Text Features Book Pages. Give students access to bilingual dictionaries, if necessary. Provide ELs with a simplified nonfiction text that includes a variety of text features. Support ELs with a word bank of terms and phrases they can use as they complete the Text Features Book Pages. Enrichment:For students in need of a greater challenge, have students add other text features that they find that were not discussed in the lesson and have them add these to their book pages. Support:For students that need extra help, allow them to use magazine cut outs to identify the text features and have them glue them to their book pages. 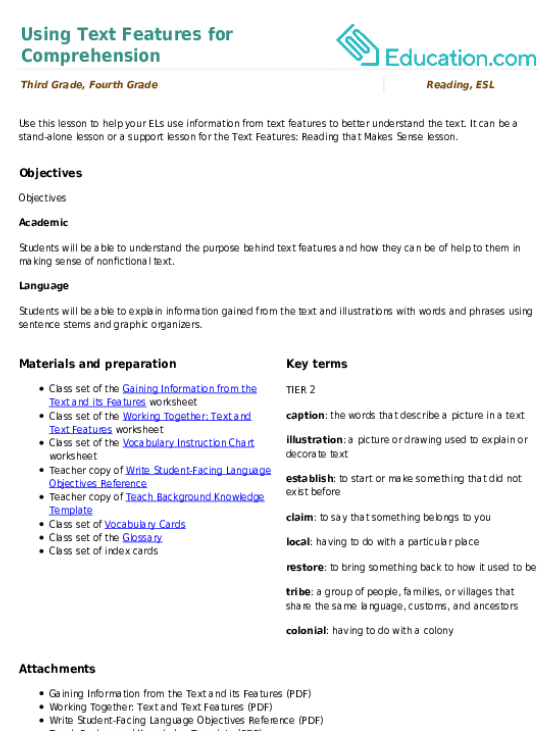 Distribute a copy of the Jamestown worksheet. Have students read and identify three text features by labeling them. 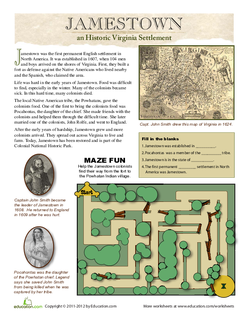 If there is extra time, allow students to complete the Maze Fun activity. Beginning:Provide a word bank of text features for ELs to use as they complete the assessment. Intermediate:Allow them to use their glossary of text features as a reference. Read aloud the text on the Jamestown text and call on non-volunteers to share text features they found. Have other students share the purpose of the text features their peers identified in the text. Ask students to share if they found new text features not identified earlier in the lesson. Accept any questions students have about the lesson, and remind learners that text features are meant to help us better understand the text and topic when we read nonfiction. Beginning:Put students into A-B partnerships to share answers from the Jamestown worksheet. The text feature is ____, and it's purpose is ____. The new text feature I found was ____. A question I have is ____. Have ELs summarize key learning from the lesson in English or L1. 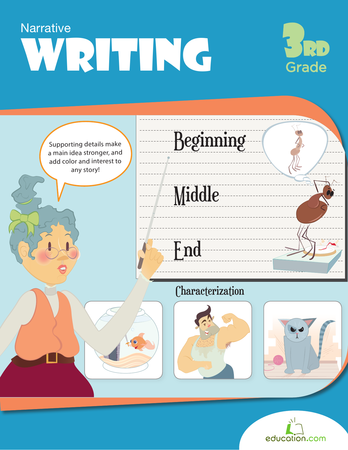 Improve your students' comprehension of non-fictional reading through this lesson that teaches them about text features. Let's practise reading nonfiction texts! In this lesson, teach your ELs about identifying and describing text features.